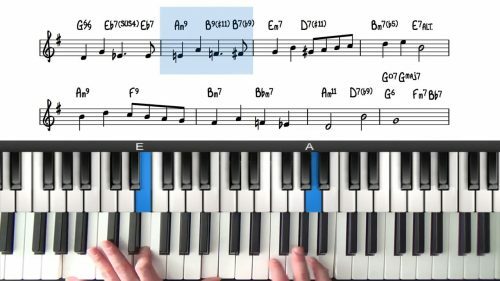 In part 3 of this tutorial on "As Time Goes By" we will play through the whole form with 2 handed voicing. 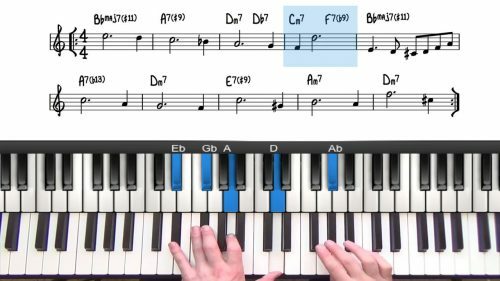 We build upon what we have covered in the previous tutorials by introducing upper structure triads, suspended chords and a stride left hand style. 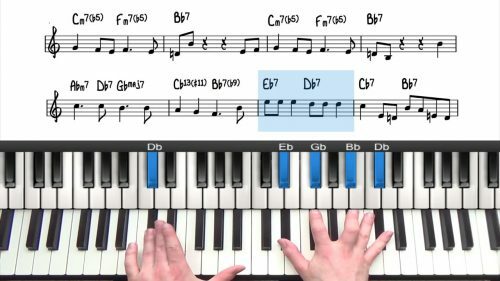 to play stride you need to have confidence in your left hand which is setting the pulse and also providing harmonic support. a nice exercise is to try to play the stride without looking, or occasionally glancing to begin with. The idea is to be able to 'feel' where your hands should be landing. This can only be achieved through lots of slow, accurate practice. Once you can do this you will feel more freedom in your right hand because the left hand has it's troop together!